Getting your possessions moved safely and efficiently. When it comes to moving, you want the experienced crew that will get the job done carefully and quickly. 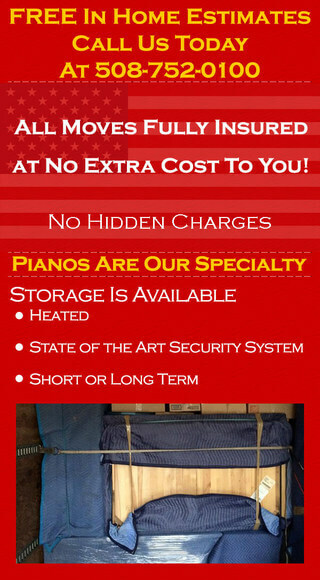 At Philip P. Massad Movers you will get both, saving you time and money. Whether you need your home or office moved or packed up our experienced crew can handle your situation. Your job will be handled with extreme care as we aim to satisfy all of your needs. 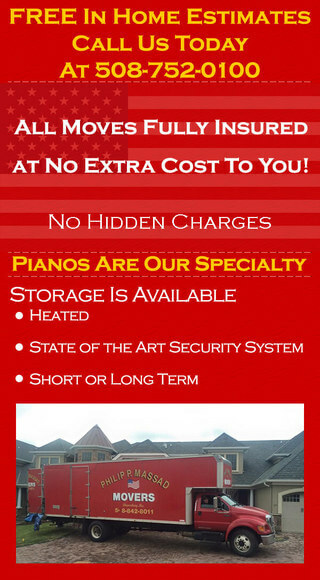 All of our moves are fully insured at no extra cost to you. 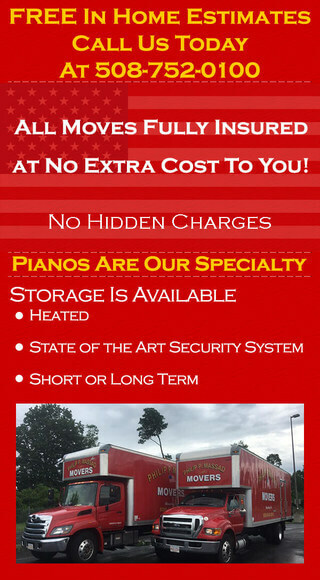 Call Philip P. Massad, the moving experts, at 508-752-0100 today. If you’re looking for excellent service and a people-friendly approach, then you’ve come to the right place. At Philip P. Massad Movers, our ultimate goal is to serve you and make your experience a pleasant one, and our team will stop at nothing to ensure that you come away more than satisfied.